The preschool phase is a bizarre one. On the one hand, wonderful, dependant tots have developed into tiny independent explorers. Then on the other hand, infant utopia isn’t quite what you had imagined. The amount of time nursery staff are needed to meditate and carry kicking and screaming children from one activity to another appears to have increased. 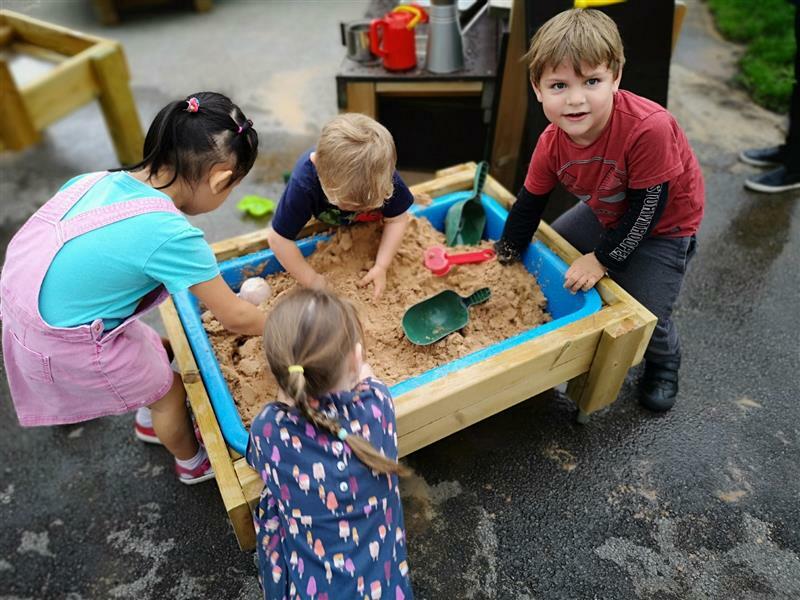 Before the age of three, it is common for children to play alongside each other and seldom play cooperatively, but then again, they are always learning from experiences. Sharing and turn-taking can be a challenge and does not come naturally to children. 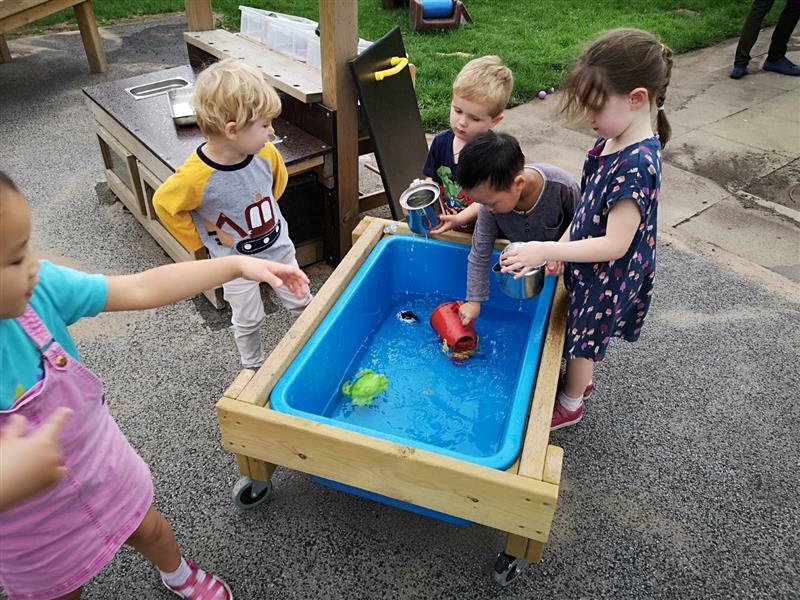 These skills must be learnt and practised to make and keep friends and play collaboratively. Why is Sharing and Turn-Taking In Preschool Important? Sharing and turn-taking imparts vital life skills; they teach children about fairness and compromise, how to negotiate with others and to manage disappointment. 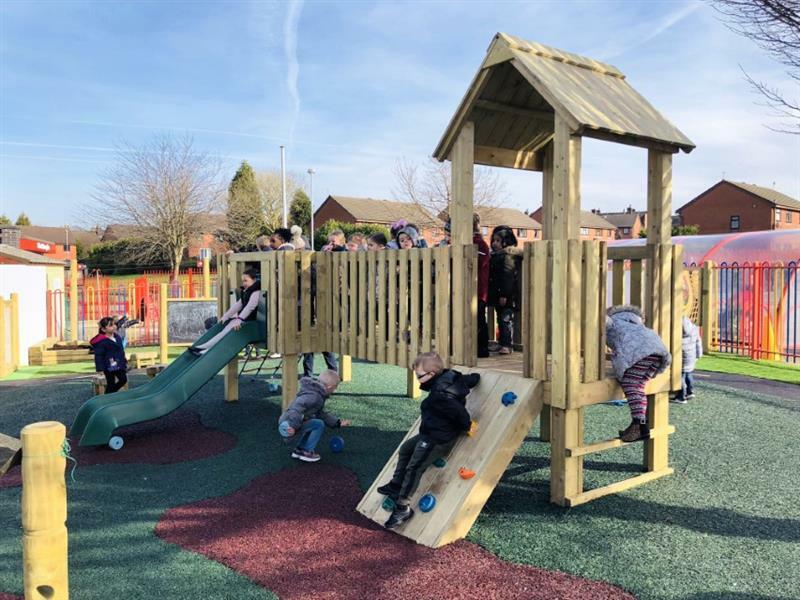 The playground is an excellent place to advance children’s development and to teach them new skills. 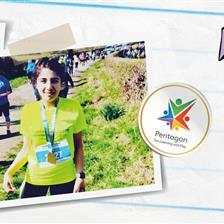 It offers heaps of opportunities for children to test their physical prowess. Tots can be so infatuated with their bodies' new abilities, like hopping, climbing and running, that they don’t look to rest. 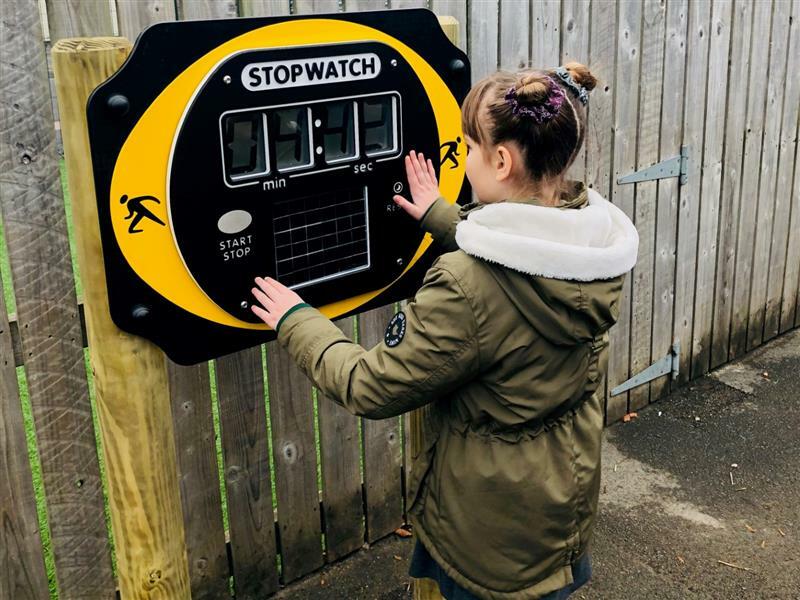 Similarly, when playing outdoors, children can also learn to react to, and acknowledge other children and make new friends. This is also a chance to familiarise cooperative play and good manners such as sharing and turn taking. A playground often necessitates lots of turn-taking. This can be frustrating for little ones who want the playground equipment of their choice all to themselves. A key technique children use to learn is through imitation and modelling the behaviours they have seen others do. A great way to bring awareness of sharing to children is to point out good sharing and turn-taking in others. For instance, the Get Set, Go! 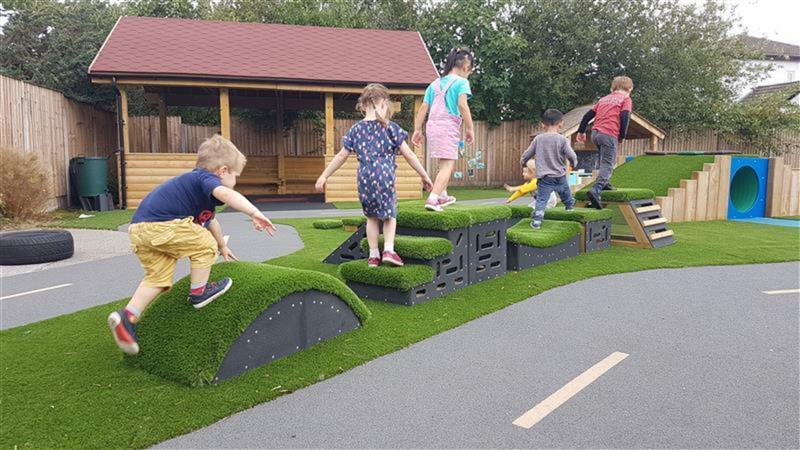 Blocks can be laid out in the playground in various orientations to mimic assault courses (like a Mini Ninja Warriors’ course). For children to participate, they must form a line and learn to turn-take and complete the course, one at a time. Another way to teach these skills is to use positive reinforcement. When you observe great turn-taking and sharing in the playground, praise and reward their efforts. By bringing awareness and attention to their good actions, children’s behaviour is likely to be repeated. 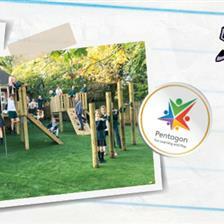 Modular Play Towers is a great example of equipment to encourage collaborative play. Pre-schoolers can practise their climbing skills, whilst holding onto climbing grips and use the slide harmoniously. 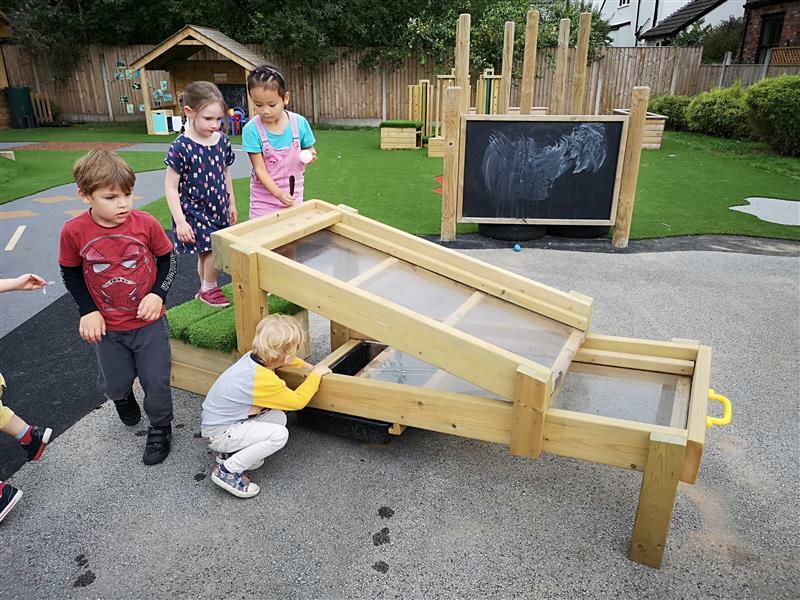 Whilst it is important to oversee play, children will logically learn to take-turns and share their ‘favourite slide’ and play alongside each other. This type of playground apparatus teaches children to communicate with words, rather than their hands or screaming. 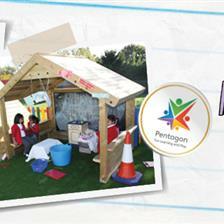 It brings children together and encourages group play. When you observe positive behaviour, acknowledge this. Team games are a brilliant way to inspire group play. 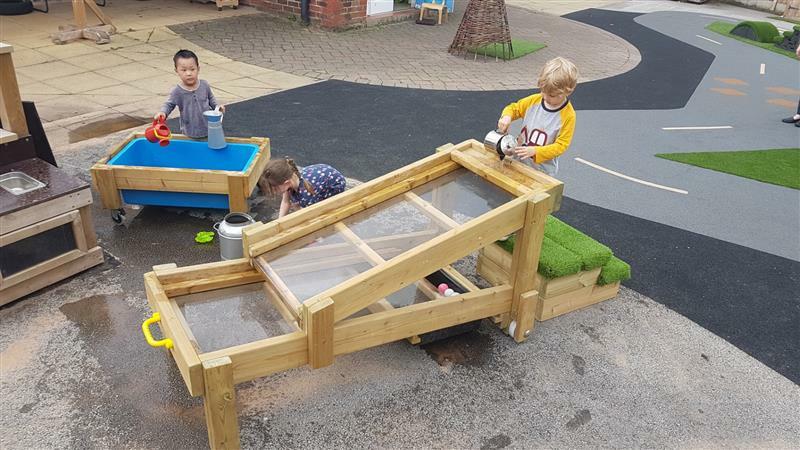 Messy play equipment, such as water and sand tables, are fantastic for pre-school children to engage in collaborative, child-centred play. They endorse communication skills and social skills with peers. When talking, we build relationships with others and therefore it is easier to relate to them. Explaining to children why sharing is important and encouraging fairness is likely to help them understand these concepts. By explaining to little ones how they would feel if someone did not share with them, this might inspire them to have compassion with others. However, despite our best efforts, there might be occasions when pre-schoolers do not want to share at all. We must consider their age and development when expecting these skills. A visual sand timer, a stopwatch, or even a whistle can help children to prepare for sharing and turn-taking. For instance, when the timer beeps or they hear the whistle sound, they will know that it is the next child’s turn. 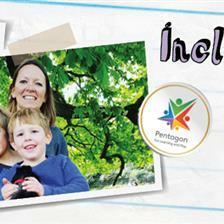 This gives children a chance to accept the transition and get excited about the next activity. Whilst it’s significant to practise turn-taking and sharing with a two-year-old, it is important to understand that there will be many occasions when they do not share. This is simply because, at their age and stage of development, children believe that they are the centre of the universe and most things belong to them (egocentric). To successfully share, children need to manage their own emotions and toddlers are just beginning to do this. For children age of three and over, it can help to create consequences of not sharing. Be sure to relate the consequence to the item that is not being shared. For example, if both children are squabbling over who gets to use the Gravity Table first (to release various objects down), or they aren’t allowing someone else to take a turn, then it could be suggested that neither should be allowed to play with the Gravity Table for a short period of time. This allows time for reflection about what they must do to play with the equipment again. 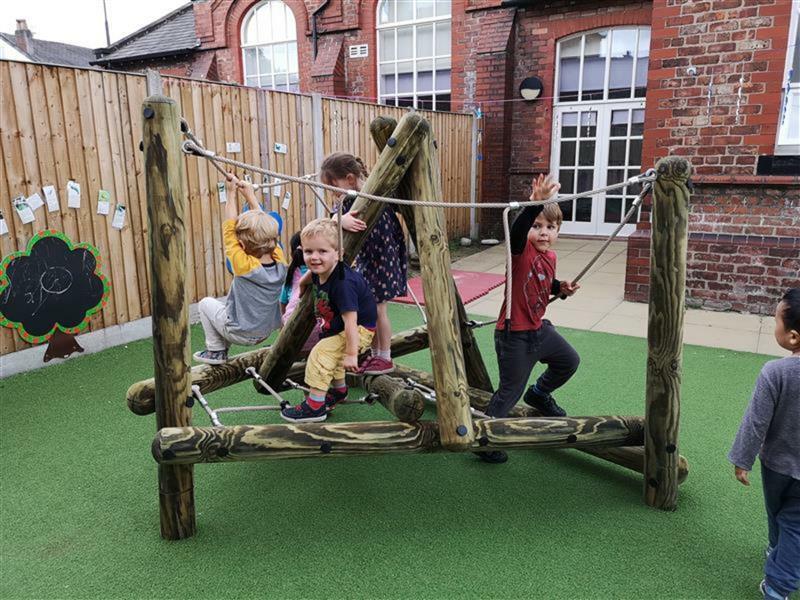 When you think that the children are ready, they can be given another opportunity to demonstrate that they can play well together and cooperate. Turn-taking and sharing are basic communication skills, that are tricky to teach pre-schoolers and requires lots of time and practice to master them. 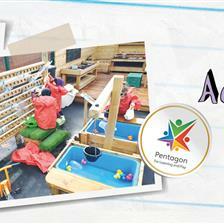 Teamwork activities and group play are a great way to get all the children involved. 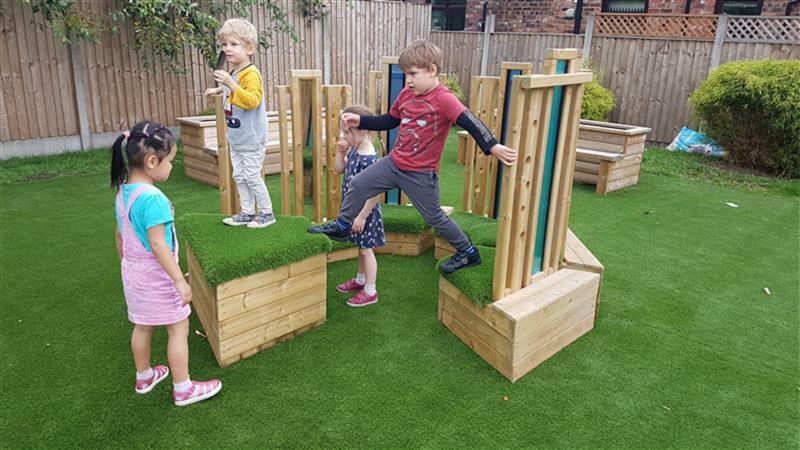 If you would like to discuss how we can help improve your outdoor learning space with excellent Nursery and Preschool Play Equipment, please don’t hesitate to Contact Us for a free consultation.